Apple's new logo: vivid, colorful, still bitten? 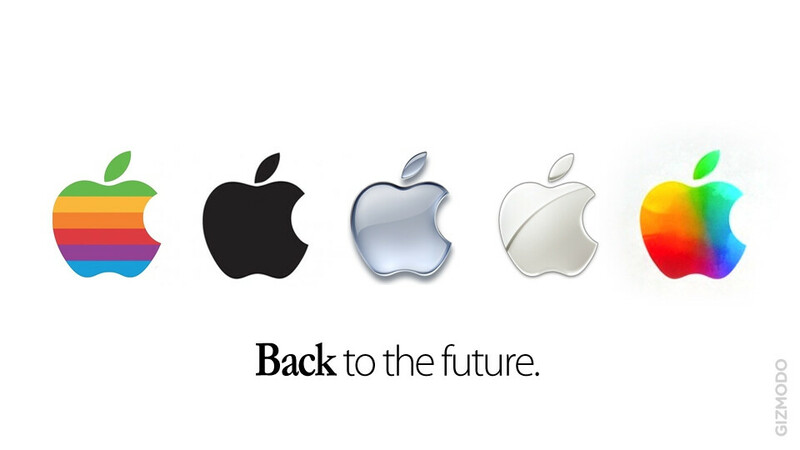 Apple’s third iPad event had a couple of “Back to the future” moments. First, after the iPad 2, we’re back to the iPad, or the “new iPad” as Apple calls it. And then, a slide left on the presentation screen at Yerba Buena in San Francisco showed a new Apple logo - something somewhat similar to the first colorful Apple emblem. A departure from the purpose-driven cold metallic bitten apple, with its message of cold simplicity, that's what we see in it at first glance. You see the new logo Cupertino used yourself - it’s a rainbow, or a palette inside a bitten apple. Nothing revolutionary, but still beautiful. Much more humane, much more lively. Is this a tribute to Steve Jobs? Or does it have something to do with the amazing Retina screen of the new iPad? We don’t know, but you can feel free to share your suggestions and thoughts about it below. Oh, and do you like it? Lmao at the article author.... Seems like a Crapapple Ryder !! Pyschodelic looking,like someone hallucinating on drugs! Possibly a symbolic representation of the drone state apple has its fans in,keeping them addicted and drooling for their next apple fix!! We care about substance...the google logo could be literally a piece of s**t, as long as Android is good and keeps improving, I don't care about some logo. then why the hell do u care so much about the apple logo! can't u just let people who actually like apple talk about it? or rather actually talk about it instead of just dissing apple fans? Android fans just got an article a few days ago talking about Google's switch to Google Play and it's new Logo. how is that much different? ya we just have articles all the time about google's new android name or how someone is buying their phone or a new android logo or something of the sort… i dont read a good portion of those articles cause they dont interest me… so if an apple article doesnt interest you why dont u just not read it instead of just blasting apple fans for liking their own logo? yes you dont care and look at you here.. talking about it.. when people dont care.. they dont post... Andro.. dont lie.. you care about the Apple logo..
it looks like that apple is rotten! WEAK! Lmao at the article author.... Seems like a Crudapple Ryder !! hmmm... almost like the windows xp flag, in an apple shape. Love that avatar your using! What.. Tim Cook is on LSD now?